Bringing you a German nail product that got my curiosity cap on! With a Big Big thank you going to my “Cheese Puff” that went to Germany for work and decided to get me copious amounts of nail products. Which where greatly appreciated! 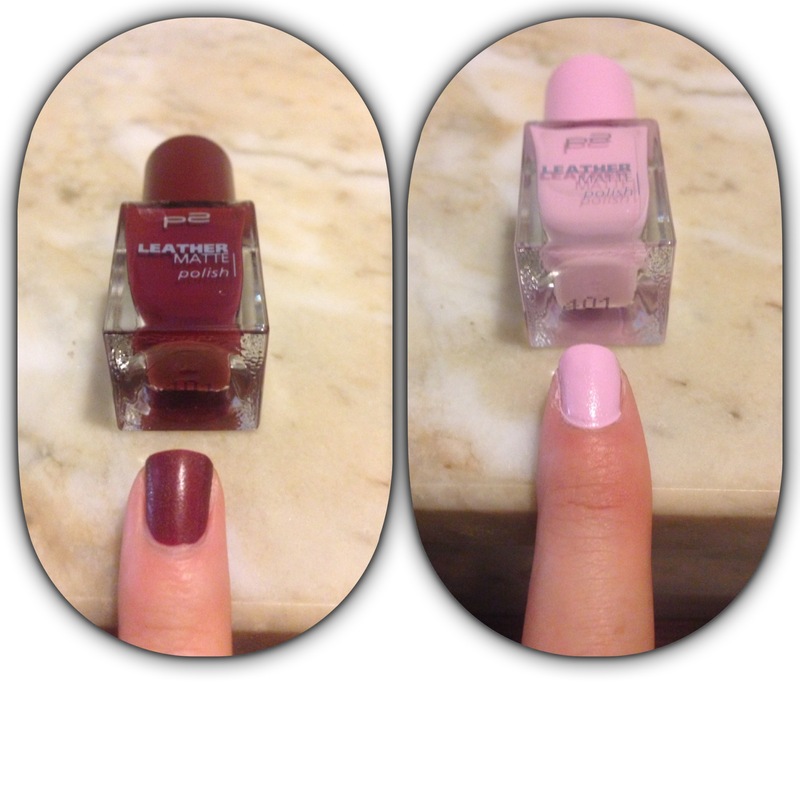 The company name is p2 and the products I received is a moisturising gel , a deep wine polish and a soft baby pink. I had a look on-line and it seems the company also have a large range of make up too. Unfortunately the only two places you are able to find these products are in Germany and on ebay. Pitty,would love to try their make up too. The moisturising gel has been a welcomed addition, cause I find the oil based nourishing treatments messy. Yes, they are effective but sometimes you can’t be bothered to keep your hands up in the air and not touch anything for what seems to be ages. So this is applied with a normal polish brush and it is absorbed in less then a minute. I have been using it for 1 week and I think it works very well to hydrate my ex-acrylic dependant nails. The nail polishes have a dense texture and with one coat you are sorted. It dries in a couple of seconds and leaves a very interesting texture. I thought it would be very very matte but it still has a slight shimmer although its not glossy at all. The leather feel is not so obvious but the texture and look of the dried polish gives it a very different and tidy finish. It has an original twist to the normal ultra glossy nail polish so it is surely a polish you can rock in the coming winter months. Verdict – They will be a popular selection for my winter nails as I really like the matte look and feel too. As I cannot stock them up as much as I would like to, I will use them for special occasions or I will just book a ticket to Germany every couple of months. Easy.